For the Month of July, we’re celebrating the conservation efforts and educational value of zoos with the Battle of the Zoos. So far, we’ve looked at Columbus Zoo in Ohio and Babby Farms in western Idaho. 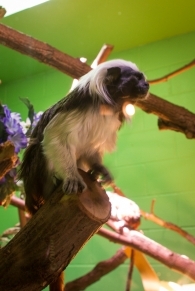 Today’s zoo is a tiny-but-mighty zoo in eastern Idaho. 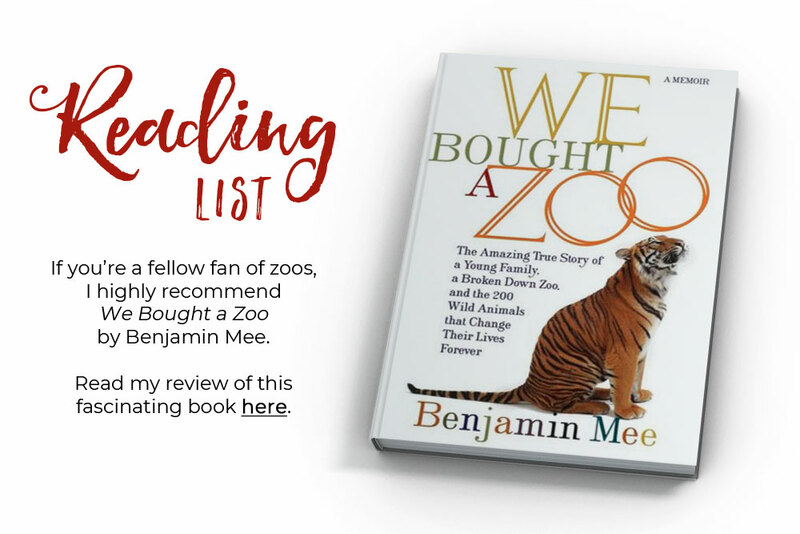 When I first moved to Idaho Falls in 2016, I was excited to learn that they have a local zoo, and I was excited to share the experience with my mom when she came to visit. But how does this zoo fare against our fancy, schmancy rating system? 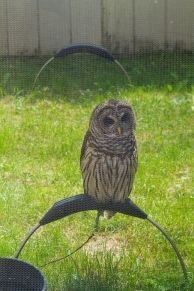 Please put your hands together for the Idaho Falls Zoo at Tautphaus Park. 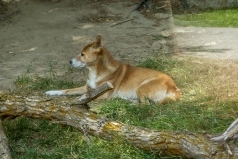 For being such a small zoo, I was impressed by how many animals they have at Idaho Falls Zoo. 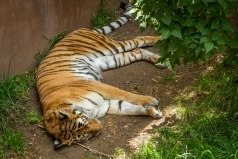 Their exhibits include animals from 5 continents (Africa, Asia, Australia and New Guinea, North America, and South America), and they even had big cats (lions, tigers, and snow leopards). They also had a few animals I had never seen before, including some De Brazza’s Monkeys and New Guinea Singing Dogs (both pictured). They don’t have the space for as many animals as you can find at a big zoo (hence the small number of pictures in this post), but I was pleasantly surprised by the variety of unique animals that call this zoo home. Idaho Falls Zoo’s small size also means that you don’t get the huge exhibit areas you can see at bigger zoos. But I honestly felt like all of the animals had an appropriate amount of space. 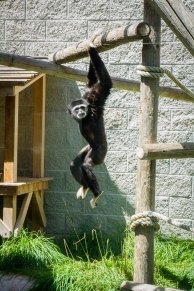 Some of primate exhibits could be decorated more to look like native habitat, but most of the animals had a variety of enrichment activities and landscaping to encourage natural behavior. The animals all looked happy and healthy, and the lions (who seem to get fat rather easily in a zoo setting) looked trim and handsome. 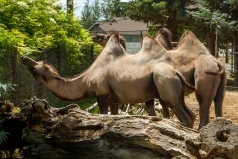 As a member of the Association of Zoos and Aquariums, Idaho Falls Zoo places a high priority on conservation. 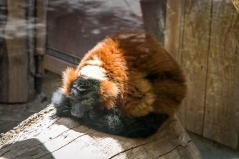 They also raise money for three conservation organizations, the Snow Leopard Trust, the South African Foundation for the Conservation of Coastal Birds, and Gorongosa National Park. 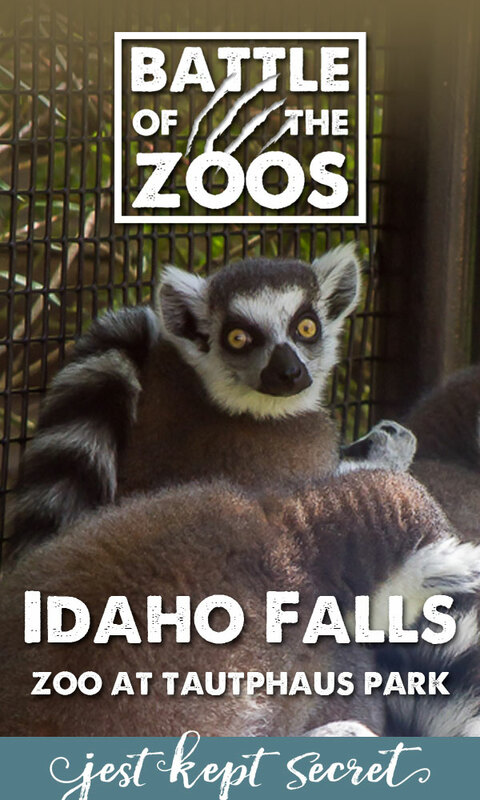 Not only does Idaho Falls Zoo have good signage with lots of information about the animals, they also host a variety of educational programs for youth and adults, including summer camp, day programs, Meet the Zookeeper presentations, family programs, and programs for adults and educators. 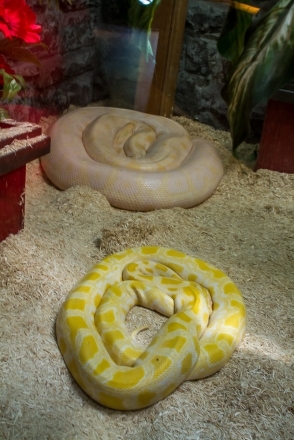 I’d actually really love to take their Exotics in Idaho Class if they offer it again. 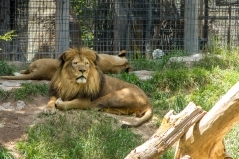 At only $7.50 per adult and $4.50 per child, admission to Idaho Falls Zoo is very reasonable. 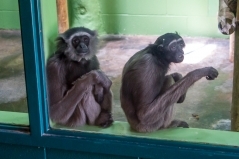 The zoo is also located within six minutes of city center, and the facility is easily accessible for visitors of all ages and abilities. My mom and I visited on a summer day, and there were few enough people there that we could easily see every animal without having to wait for crowds to clear out. 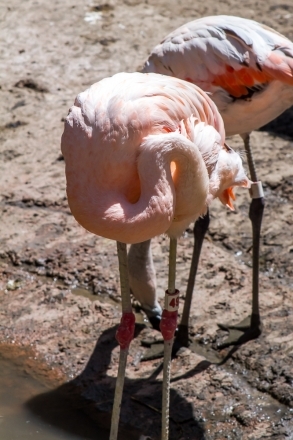 So how does the Idaho Falls Zoo at Tautphaus Park fare against our rating system?